Tipping point: Can Matthews’ resignation save a sinking SABC? SABC acting CEO Jimi Matthews' resignation on Monday was hailed as a stance against censorship. While Matthews was part of the public broadcaster's recent decisions, he and other SABC staffers who are speaking out might start to turn around SABC policies that have been regressing for years. By GREG NICOLSON. 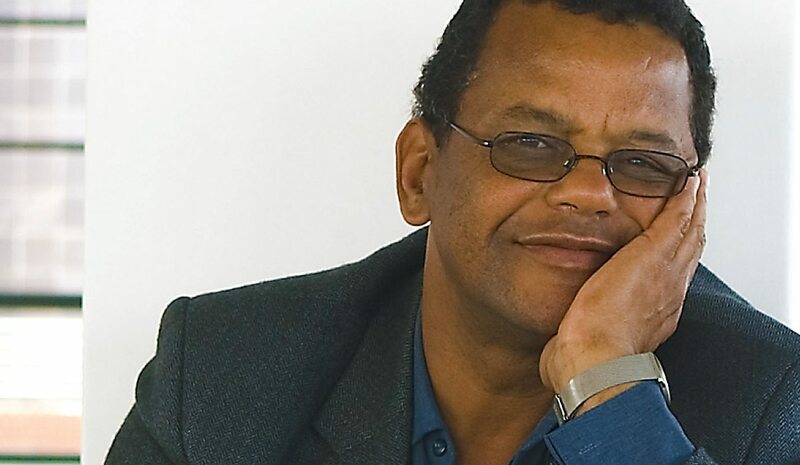 When Jimi Matthews returned to SABC in 2011 as head of television news, speaking to Daily Maverick, he was optimistic but realistic. He knew the public broadcaster, and the media in general, was open to manipulation. He’d experienced journalism during the 1980s and seen some of the best and worst of the South African media. He believed he could make a difference, speaking to the SABC’s huge audience and using its resources to reflect the realities South Africans faced. While much has changed since the 1980s, the comments from Matthews, who also worked at eTV and Reuters, invite obvious irony. But the veteran newsman, who is viewed highly in media circles, came back to the SABC with realistic and noble goals before getting sucked into the maelstrom and becoming complicit in the public broadcaster’s political misdirection. It’s seen Matthews, who eventually rose to the position of acting CEO, not only perpetuate the journalism he has criticised, but defend it. The SABC has long faced criticism in the democratic era, but the reign of chief operating officer Hlaudi Motsoeneng has seen its journalism reach new lows. According to the Public Protector, Motsoeneng lied to get his job, didn’t show remorse about it, then used the turmoil in SABC board to get his way, and gave himself highly questionable pay increases. Thuli Madonsela’s SABC report came out after the COO in 2013 had said 70 percent of stories the SABC reports must be positive. At the time, Matthews said Motsoeneng hadn’t attempted to influence the newsroom. Over the years Motsoeneng has managed to expand his influence while continually appealing court challenges from the Democratic Alliance seeking to have him removed. In fact, this year a revised SABC editorial policy is reported to have given the COO powers even greater than the CEO and in the last month Motsoeneng has introduced sweeping changes, seemingly without notice or consultation. He announced radio stations would have to play 90 percent local music. Editors and journalists from rival publications were reportedly blacklisted. Images of violence during public protests were banned. Allegedly, negative news on President Jacob Zuma was to be disregarded. Hlaudi is even reported to have asked cameramen to be re-trained because he was upset that he looked short on TV. “But Baba loves him, he loves him so much. We must support him,” the late SABC board member Hope Zinde was allegedly told by Communications Minister Faith Muthambi. Muthambi has backed Motsoeneng in his court challenges and flouted logical appointment processes according to a court judgment, when she named him permanent CEO. Given what long-time SABC spokesperson Kaizer Kganyago calls an obsession in the media with Motsoeneng, it’s not always easy to know what’s true about the COO’s reign. But throughout his term, Matthews has been follower of Motsoeneng’s decisions. Matthews recently said in papers to the Supreme Court of Appeal that the SABC could “ill afford to lose a rare skill” such as Motsoeneng. Matthews didn’t mention problems with Motsoeneng, the SABC board or the minister, but the usual round of commentators took the liberty of explaining his decision. Many referred to his past credentials and said was better late than never. The DA, the Congress of the People, and Right2Know linked it to alleged SABC attempts to project the ANC in a positive light. Yet Motsoeneng and Matthews have been accused of political bias for years. So why now? In the last week, perhaps as election season ramps up, perhaps Motsoeneng is taking a stronger role as his court appeals continue to falter, problems at the SABC seemed to have intensified, affecting well-known and respected journalists. SABC economics editor Thandeka Gqubule‚ RSG executive producer Foeta Krige and Afrikaans news producer Suna Venter were served with suspensions last week reportedly for challenging a decision in an editorial meeting not to cover protests at the public broadcaster against censorship and the removal of Motsoeneng. Their suspensions appear to have touched more SABC journalists, with Special Assignment executive producer Busisiwe Ntuli, SAfm executive producer for current affairs Krivani Pillay, and senior investigative reporter Jacques Steenkamp writing to Motsoeneng on Saturday requesting a meeting while calling into question the broadcaster’s recent policies. For years SABC staffers have been reluctant to publicly comment, but the suspensions could be the tipping point that leads them to pressure politicians to act. On Monday, SABC parliamentary journalist Lukhanyo Calata reflected on the anniversary of his the death of his father, Fort Calata, murdered with the Cradock Four. “Thirty-one years later, I now work as a news reporter, with the sole purpose of telling stories of my people with dedication, truth and freedom. A freedom that many like my father either died or were imprisoned for.